Multiple times a week I am on this sight, complaining about the absurd, alphabet-soup insanity of professional boxing. The various sanctioning bodies, with their various belts, have turned the Sweet Science into an incoherent morass. Fighters who have no business claim world championship status. Only the most dedicated fans even know who the legitimate champions are. The sanctioning bodies force their champions to face un-derserving mandatories, rather than pursuing unification fights. And too often, once contenders claim an alphabet-soup trinket they content are to rest on it, rather than going out and pursuing the sort of fight that would make them a true champion. As a result, divisions go years without even having a true world champion. At present, only a handful of the sport’s divisions have a genuine champion. But the alphabet-soup situation also creates an environment where true champions can coast by and make a mockery out of the very title that they should be proudly defending. That is what has happened right now at light heavyweight. 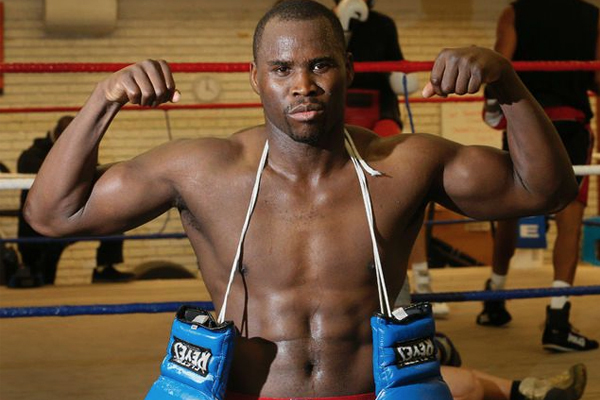 Adonis Stevenson is the true world champion at 175 pounds. He won that distinction in June 2013, when he knocked out Chad Dawson in Round 1. He’s been the champion in that weight class now for almost four full years, defending the title seven times. But for the entire time he has been champion, Sergey Kovalev has been the clear-cut No. 1 contender. And Stevenson has ignored him. In an era when there was one world champion, there would have been a tidle wave of outrage over Stevenson’s failure to defend against Kovalev. But in the alphabet-soup era, Kovalev was able to collect the various lettered trinkets instead. During the past four years, he has developed into a pound-for-pound star. Kovalev vs. Andre Ward was the biggest fight that happened last year. Their rematch will be the biggest fight to take place this year. Stevenson, meanwhile, has become damned near irrelevant. Saturday night he faces Andrzej Fonfara, in a rematch of a fight from three years ago. Fonfara beat a shopworn Dawson last March, but most fans will remember him best from last June, when he got knocked out in the first round by Joe Smith. It’s a disgraceful look for a man with the legitimate claim to the world championship.